Born 1938 in Akita prefecture, Master Yamada began his martial arts study in Judo before becoming involved in Karate. 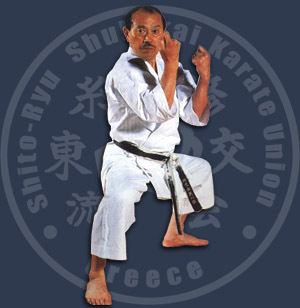 In 1956 he became a disciple of Master TANI and was one of Master Tani’s top ranking students. Master Yamada inherited the Presidency upon the passing away of Master Tani, and is also the Chief Executive of Gishinkan, a Shukokai drill hall based in Amagasaki City, with approximately 3000 followers nation-wide; mainly in the Kyoto/Kobe/Osaka districts. Master Yamada runs a renowned bone settling clinic.